Here's our list of the largest Gravel Grinder events in North America. 2018 marks the Fiftth Annual Kettle Mettle Gravel Fondo that showcases the historical nature of the Kettle Valley Trail and amazing scenery of the Okanagan while also providing a scenic and challenging ride. Surrounded by miles of orchards and wineries, and offering stunning views of the surrounding area from high atop the old railway trestles, you won’t find a ride quite like this anywhere else. There are three distances, 50km Medio Fondo, 100km Full Fondo and the 130 Plus Fondo. Over 500 riders take part every year. 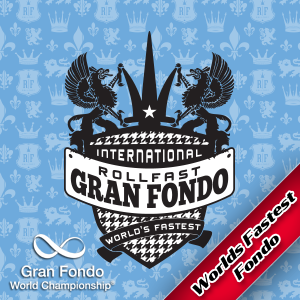 Click here for more details on Gran Fondo Guide. Part of the Gravel Gauntlet series, the Tainthammer is a tough ride. 130 miles of the amazingly worst California Central Valley roads we could find. Horrible pavement, compressed sand, gravel, washboard, potholes, headwinds and a whopping 350 feet of climbing, total. Tainthammer: it’s more than just a clever name. They have a broom wagon and pro mechanics on course. The Badlands Gravel Battle Grinds across 120 Miles and Rolls Over 8,000 feet of climbing on the fast and rugged red scoria roads that crosshatch the badlands of western north Dakota. If you like riding on Badlands singletrack, you will love grinding Badlands gravel! All of the same gorgeous North Dakota scenery you see on the Maah Daah Hey trail, but with the freedom of wide, open, red scoria gravel roads. The Almanzo 100 gravel bike race features cyclists from all over the country riding 100, 162 and 380 mile routes through the beautiful rolling farmland of southeastern Minnesota, Northeast Iowa and Southwest Wisconsin. The Almanzo 100 bike race is touted as "the granddaddy of all gravel races", this is one tough ride. Well over 500 cyclists take part every year. Explore 34 miles of Vermont’s most beautiful, scenic and iconic dirt roads in the the 6th Annual Muddy Onion Spring Classic next April. Celebrate early Spring in true Vermont style and enjoy this fully-supported ride on the remote back roads of Central Vermont. Stick around afterwards for our famous post ride Barbecue. The good folks at the Alchemist Brewery make it possible to keep riders "lubricated" at the end of the ride, complimentary with registration. As for the ride itself, expect no less than chocolate-covered bacon, maple syrup shots, early season burning legs and quite possibly a little gravel magic along the way. Mens, Womens, Fat bike and Single speed categories. Bragging rights are always included if you can make the over 4,000 ft of climbing back to the after party. There's also a shorter 19 mile route for all abilities. Well over 600 cyclists take part every year. 2018 will mark the 8th running of the Crusher in the Tushar, a 70 mile mixed-surface smogarsboard that accumulates over 10,000 feet of elevation gain while traversing Utah's remote and pristine Tushar Mountain range located with the Fishlake National Forest. The Crusher attracts riders of all stripes from the dedicated weekend warrior to Olympic Champions,Tour de France stage winners and National & World Champions in road, MTB and CX racing. The crusher is one of the toughest Gravel Grinders in North America. Registration opens Wednesday, January 3rd 2018. A gorgeously rugged ride on wide open dirt roads, all with MTB champ Rebecca Rusch. Rebecca's Private Idaho is your ticket to the wild, rugged Idaho that few people know. ride 100 miles with mountain bike endurance champion Rebecca Rusch on grueling gravel roads, through canyons, over summits, and across high mountain basins. When you're done, expect a healthy dose of western hospitality and the good feeling that comes from supporting charities like the Wood River Bike Coalition, the Idaho High School Mountain Bike NICA League, People for Bikes, and World Bicycle Relief. Rebecca's Private Idaho puts the scenic and recreational qualities of Sun Valley on the world stage in order to benefit the local community, promote athleticism, and support bicycle-based charities at the local, national, and global levels. The Filthy 50 is coming back for it's sixth year and and the Filthy 50 has become something special for so many and they plan to continue to honor that sentiment. There are three disatnces the Little Filthy (12 miles) and The Pretty Filthy (24 miles) and the full Filthy of 50 miles. Well over 700 cyclists take part every year. Well over 750 cyclists take part every year. Click here for more details on Gran Fondo Guide and you can read Nikki Ragonese's report from the the 2016 event here. A 49-mile dirt road timed bicycle adventure ride featuring 5,600 feet of climbing, seven sections of “Vermont pavé” (unmaintained ancient public roads), a beautiful rural historic ski area start/finish and an awesome party afterwards. It’s the ultimate overland adventure ride. 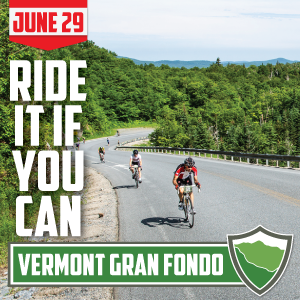 Open dirt roads, amazing scenery and an epic course unlike any you’ve ever ridden before, all within a beautiful Vermont pastoral setting. The popular event features locally-made prizes for the top three mens and womens podium finishers as well as special KOM winner prizes too. One of the most hallowed races in the western US. Held the day before the real ‘Queen of the Classics’, the French race that goes from Paris to Roubaix. A 19 mile loop with 43% paved roads and 57% unpaved roads in North Boulder County. Neutral support is unlikely although they have designated broom wagons doing laps if you need a lift back to the finish. Created as an extremely challenging race in the spirit of the great European one-day Spring Classics, the BWR returns to North County San Diego on April 15, 2018. A shorter and half-as-painful Belgian Wafer Ride is also on tap, along with an expanded expo hosted by The Lost Abbey Brewery in San Marcos, California. Racers and event patrons will again be treated to Belgian waffles, moules-frites, Lost Abbey ale, more waffles and more Lost Abbey ale on race day. 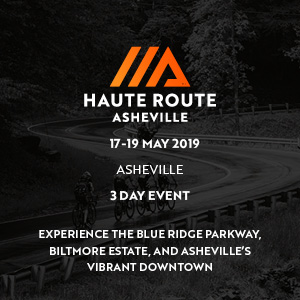 The race itself promises masochistic punishment of entrants along its 235-kilometers course, which features 13,000 feet of undulating climbs and more than 40 miles of off-road terrain that harken to the teeth-rattling cobblestones of Europe’s most grueling race routes. A fully supported ride with CHP escorts, a multitude of support vehicles and feed stations dotted throughout, register for the 2018 Canyon Belgian Waffle Ride before it's completely sold out! Well over 1,000 riders take part every year. The Gravel Grinder is a gravel road race like nothing you could have imagined. This event will always be the first Saturday in October and is limited to 2,000 riders. You can expect a huge purse as well as some of the fastest racers in the Country. There is a 18 mile, a 45 mile and a 60 mile race. The 18 mile race is very flat. The 45 and 60 mile races will have lots of very fast roads mixed with technical seasonal roads, some hair raising descents as well as long steep climbs, which will test your mental sanity. There is a KOM contest for the 60 mile race. Points will be awarded for the first 3 people over the top of the 5 mountain climbs. The highest total points for both men and women will get $500 in addition to any prize money they might win. There will be no prizes for second place. Huge cash payouts totaling $10,000! The event is limited to 2,000 riders. The Dirty Kanza is recognized throughout the cycling industry as the World’s Premier Endurance Gravel Road Cycling Challenge. Cyclists from all across North America, Western Europe, and beyond converge on Emporia, Kansas each year to test their mettle on the remote and rugged roads of the Flint Hills region of east-central Kansas.The only remaining expanse of natural tallgrass prairie in North America, the Flint Hills has been called “the easternmost part of the great far west". Dirty Kanza 200 is not an event for entry-level cyclists. Riders will be totally on their own for 200 miles. With the time frame given to complete the event, you will not have the option of sleep, nor much rest. Due to a new registration process in 2018, winning entries will be selected on or about January 13, 2018. Subject to event eligibility requirements, the individuals whose names are drawn will be awarded entry in the 2018 Dirty Kanza. Over 2,000 riders take part every year. Paris to Ancaster celebrates it's 25th anniversay in 2018. The route is over the roughest farm lanes, trails and gravel roads they can find. Combined with unpredictable spring weather and the largest field of riders assembled in Canada, it has become a classic race experience for everyone from average riders to Canadian Olympians. For over a century the roads of northern Europe have been home to the toughest bicycle races in the world. The most famous of these, Paris to Roubaix, takes place each spring over brutal cobblestone roads that have been preserved in their historic condition for over 100 years. Inspired by this classic race, the Paris to Ancaster has taken place for over 2 decades. Over 2,800 riders take part every year and is the biggest Gravel race in Canada. Kick off your 2018 cycling season on April 21 with The Founders Barry-Roubaix Killer Gravel Road Race, the largest gravel road race in the world. Over $32,000 in awards cash and prizes to the top riders in a huge range of categories! Kick off the race season with over 3,500 of your fellow cyclists. Please let us know on our facebook page so we can continually update our list, all feedback welcome, we appretiate everyone's comments no matter! Gran Fondo Gude has one of the most comprehensive Gravel Grinder calendars with 400+ events in North America alone, with many dates and details being continually confirmed. Click here for our 2018 North American Gravel Fondo Calendar.